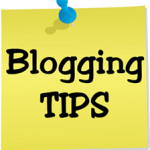 If you’re someone who’s so enthusiastic about their area of interest or expertise they feel they want to blog about it, you may not realize that for many people your subject matter is somewhat dry and uninteresting. With so many bloggers competing for readers’ attention, even the most captivating of topics needs to add something extra to bring in regular followers. If your specialist subject is engineering or technology, you have an extra challenge in bringing in followers, but there are ways to make your blog more appealing to a variety of different readers. If you want to write a tech blog, one of the first actions to take before you start is to review what else is out there covering the same kind of topics. Repeating what others have done is going to take a lot of time and effort for little reward unless you add something that other blogs don’t have. Ask yourself why people would start reading your blog if they already get everything they need from a well-established blogger. The best ways to set yourself apart are to find a niche within your specialist topic that isn’t covered elsewhere or target a new audience. You could, for example, take an educational slant and aim your posts at a specific age range or demographic to promote an interest in your subject. Or you could focus on a highly-specialized niche within your area of interest, so for example rather than writing another blog on mobile technology, focus on a specific brand or operating system and become the expert in that niche. You’ll find it hard to sustain a blog that tries to be all things to all people. Narrowing your target audience to a specific age, demographic, or educational level gives you a tighter focus to develop your blog in a way that appeals strongly to your chosen audience. This is more effective than a broad-brush approach, which will probably fail to appeal to anyone if it’s too generic. Think about the audience that interests you most, for example, is it fellow professionals? Or is it the idea of introducing the wonders of technology to lay people? If your specialist subject is microelectronics, then using a cost-effective professional PCB design tool in your blog posts to illustrate the points you’re making shows you have a good grasp of the best tools in your industry, as well as making the process of explaining how to manage the design processes involved in creating effective, fully-functioning printed circuit boards far easier and more efficient. Using the best tools gives you scope to add instructional videos to your blog – and even branch out into being a vlogger as well as a blogger. If you want people to read your blog, and keep coming back for more, you need to inject some life and sparkle to your offering. Using the best available software and technology to bring depth to your posts reinforces your authority in your subject, and provides the ideal platform for educating, demonstrating, and creating tutorials.